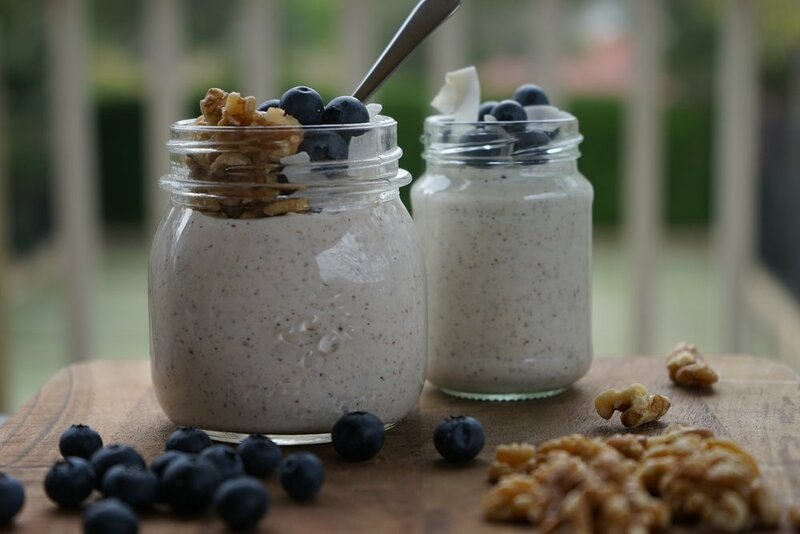 Both of these smoothie recipes designed by nutritionist Sasha Hutchinson were a huge hit at our launch and are a great breakfast option for those of you that don't feel like eating early in the morning or post training. They are high in fibre & protein with a healthy dose of carbohydrates for recovery. Blend all ingredients together in a nutri bullet (or similar machine) until smooth. You can add more or less water, depending on your preferred consistency. Blend all ingredients together in a Nutribullet (or similar machine) until smooth. You can add more or less water, depending on your preferred consistency.